Whether you drive an A3, A4, A5, or A6, you don’t want to be seen with bends, irregularities, dents, or dings on your Audi. Fortunately, EZ Dent can handle all kinds of blemishes using an effective process known as paintless dent repair (PDR). When you contact us for paintless dent repair, our team goes to where you are with our full complement of specialized tools. These tools slowly form the metal of your car’s body until it returns to its original shape. Though the time needed to complete the process can vary depending on the nature and extent of the dents, we are often done in under an hour. How Affordable Is Paintless Dent Repair? When Audi owners ask us about our services, one of the first things they want to know is the price. The cost of your car repairs will depend on several factors, such as where on your vehicle the dent is located, the timeline of repairs, the model/year of your car, and the type of dent. Since repairing dents is our only focus, you can rely on the repairs costing less than a body shop would charge you. With the PDR process, we have plenty of experience with Audi dent repair & removal. And, your fixed vehicle will go up in market value. We work with your provider if you decide you want to use your insurance. However, most of the time, the repairs are much less than your deductible and involving your insurer is unnecessary. *Disclaimer – EZ Dent is not affiliated with Audi or authorized Audi dealerships. 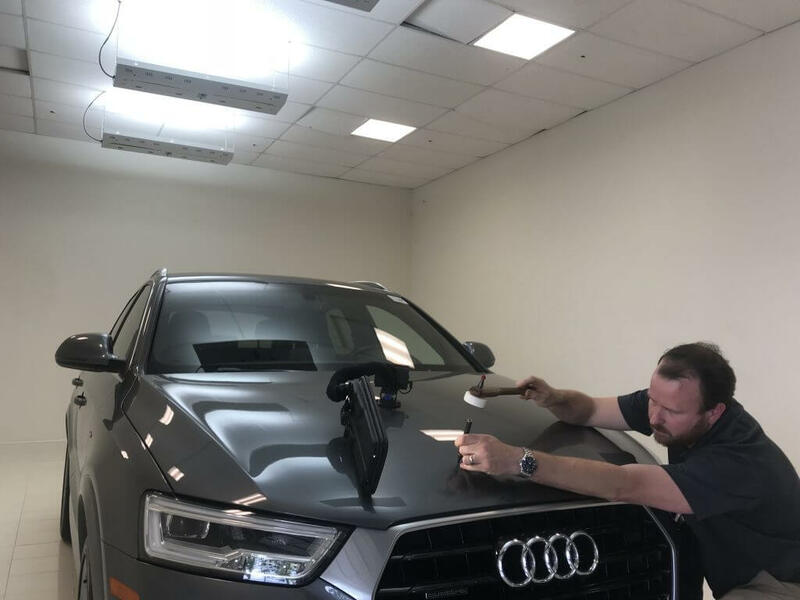 Serving Athens and Metro Atlanta, we are here to help owners of A8s, TTs, Q5s, Q7s, and other Audi vehicles with dent removal and repairs. To learn more, contact us today.